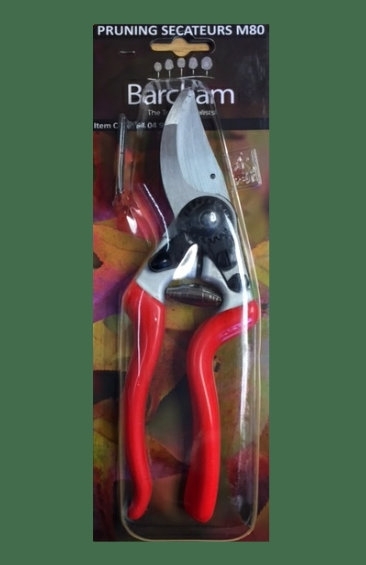 Razor sharp professional quality, heavy duty secateurs M80. Razor sharp blades made from chrome-plated steel. Ergonomically designed handles for fatigue-free working.